How do you get your files from one machine to another? Most of you probably use a USB flash drive or email files to yourself. 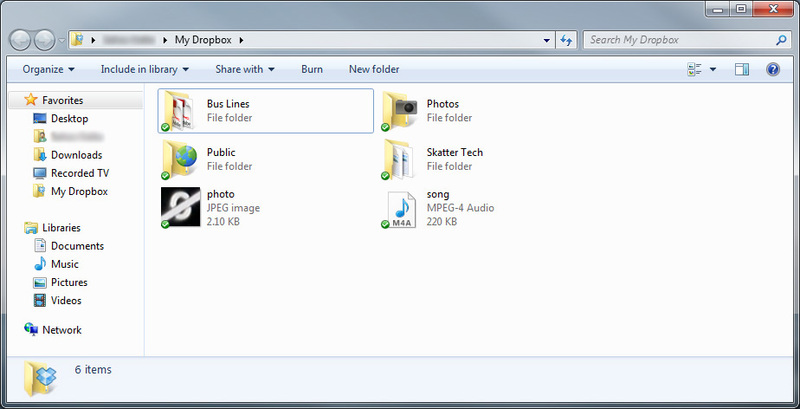 That hassle is a thing of the past with Dropbox, a new web service. After a one-time setup, your files will be accessible anywhere whether it’s on your laptop, your phone, or even through a web browser. Plus, the basic version of the service, only limited by space, is entirely free! Setting up Dropbox is easy. Just visit GetDropbox.com and download the installer for Windows, Macintosh, or Linux. The program will prompt you to register for an account if you are a first time user. 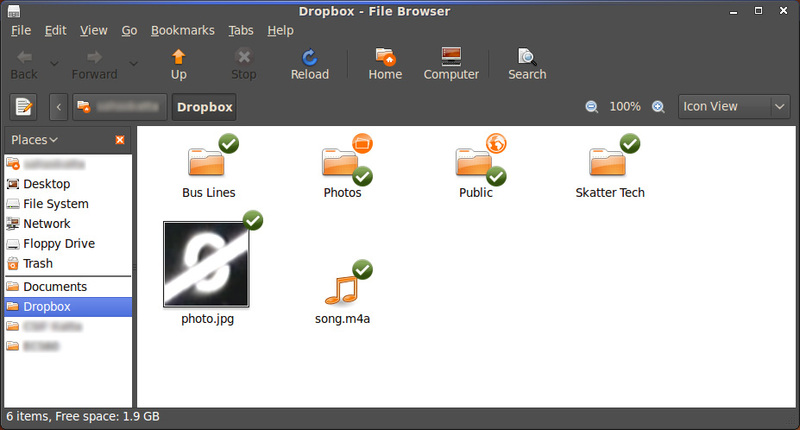 A folder named “My Dropbox” will automatically be created. 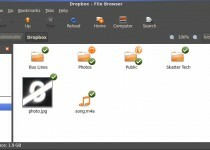 If you have a second or third computer, install Dropbox on those and login with the same username and password. If you have an Apple iPhone or iPod Touch, grab the free Dropbox App from the iTunes App Store. 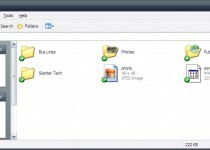 Next just copy any files or folders into the “My Dropbox” folder. Assuming that you are connected to the internet, the files placed in there will automatically be synced to and stored on all your other computers. If you add, delete, or modify files, the changes are relayed over to all your other devices. The devices I used to test the service included a HP DV2000 laptop running Windows Vista and an iPod Touch. Skatter Tech’s Senior Editor, Sahas Katta, also tested the service with a Dell XPS M1530 laptop running Windows 7, a Dell Mini 9 netbook running Windows XP, an ancient Desktop running Ubuntu 9.04, and an iPhone 3GS. With Dropbox setup on all those mentioned devices, the service worked across every single device flawlessly. Dropbox is truly a cross-platform marvel. I tested the service by dropping some documents (PDF, DOC, PPT), music (MP3, AAC), and videos (AVI, MP4) into the “My Dropbox” folder. The small document files only took a few seconds to sync and appear on the other devices, however the larger video files took a lot longer. And say you don’t have access to any of your devices, but need to get to your files. Just visit GetDropbox.com from any web browser, login, and a copy of all your files is accessible through the web interface. The service also creates quick “share links” you can email or instant message to friends to give them access to certain files or folders. While the free version limits space to just 2GB, you can get more space in two ways. If you invite friends to use the service using the referral program Dropbox recently launched, you’ll be given more space each time someone signs up using your link. And if truly need a lot more space, Dropbox charges $10/month for a 50GB account and $20/month for a 100GB account. As someone who mainly uses for documents, which barely take up any space, the free version suffices. However with how useful the service has been for my productivity since I began using it, if I do end up needing more space I wouldn’t mind paying. Overall, Dropbox is simply a convenient, easy to use, and foolproof service that saves you the time of having to manually manage your data across multiple machines. Plus with their new mobile iPhone App, I can quickly load and view the majority of documents while away from a computer. Other than slow sync times due to my occasionally slow internet connection, I couldn’t find a single flaw in the service. If you constantly move data between two or more machines, give this a shot! Note: This article was co-written and edited by Sahas Katta. I store all my project files in the Dropbox folder on my computer. 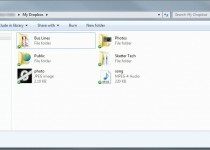 I use DropBox as an “off site” backup for my current projects and it also provides the ability to access all of my work from any computer using DropBox’s web access. If anyone would like to try it I have a referral number that will get both you and I an additional 250 MB of storage in addition to the 2 GB that comes with a free account. use this referral link to download your copy of Dropbox. Here is the referral…..